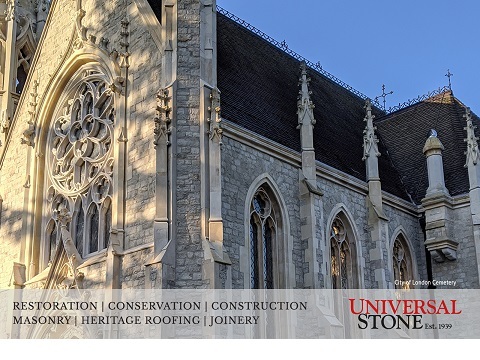 USL’s construction services cover all forms of heritage conservation, restoration, new builds, refurbishment, interiors, stone masonry, specialist joinery, roofing and decorative services from project initiation to aftercare. With traditional building methods and extraordinary eye for detail the company offer an unparalleled platform both as principal and specialist contractors. USL’s craftspeople create some of the finest decoration; gilding, signwriting, carving, letter cutting, horological restoration, metalwork, glazing and weathervanes. Having successfully completed numerous landmark projects on a wide variety of prominent buildings including castles, churches, town halls, new builds, monuments and structures of social significance; collaborating with heritage guardians such as English Heritage and National Trust as well as charities, architects, local authorities, academies, corporates and private clients.